To label the Santa Cruz 5010 Carbon (née Solo) as just an enduro bike would an injustice—and perhaps a slight exaggeration. Sure our stunning full carbon 27.5-inch tester dressed with beautiful ENVE AM wheels could hold its own at most U.S. enduro races (Europe is another matter). But that’s not what this bike is all about. As its original name hints, the Santa Cruz 5010 is made for all-day adventures, huge climbs included. Our size large tester weighed less than 26 pounds—and that was with a dropper post and a set of portly Maxxis High Roller II tires. Sure it’s all marketing shtick. But as our test crew found out, sometimes there’s a bit of truth behind even the most transparent PR campaigns. Indeed, the 5010 can capably take you to far away places—or simply shred your backyard trails. The 5010’s design philosophy will remind Santa Cruz disciples of both the Blur TRc (except with 27.5-inch wheels) and the Bronson (except with slightly steeper geometry). The core of the 5010 includes a VPP suspension, 125mm of travel, a moderately slack 68-degree head angle, and a low’ish 13.2-inch bottom bracket. The result is a bike that’s stout and strong, but also deft and nimble. It rides low, connecting rider to trail, where inputs yield immediate reaction, not muddled feedback. Of course before we get too deep into this review, the price must be mentioned. Our tester came with an IRA-robbing $9,575 price tag. No one said modern day adventure was cheap, though you can get on a less blinged-out alloy version of the 5010 for less than $3,500). 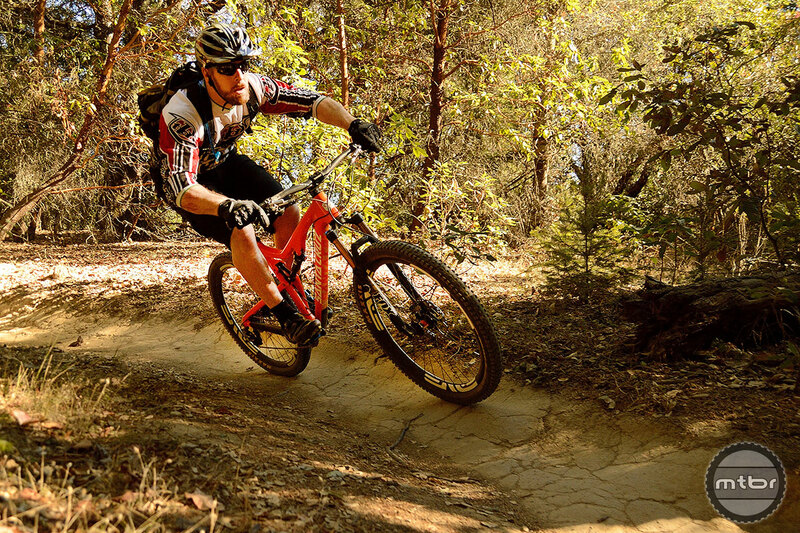 Unless you’re brand new to this sport, you’ve surely heard of Santa Cruz’ well-regarded Virtual Pivot Point (VPP) suspension system. In short, VPP employs a dual-short-link design, where a pair of counter-rotating links produce a firm pedaling platform. The result is consistent, bob-less performance, even for out-of-the-saddle climbing, when our testers were impressed by the 5010’s quick acceleration. Indeed, in most cases, the biggest limiter of this bike’s climbing ability will be the pilot. If you have the legs, lungs and want to, the 5010 will ramble up just about any hill—save for that snowy mountain in the Steve Peat video. The lone suspension gripe was directed at the Fox 32 Float CTD fork. Testers felt that while the 130mm of travel was sufficient, the 32mm stanchions created a weak point in an otherwise bomb-proof set-up. With a stout carbon frame and stiff carbon wheels, any flex would likely manifest in the front end. All-in-all though, the general consensus was that for a bike with just 125mm of travel (call it an XC-oriented enduro machine) the 5010 maintained composure as long as its rider did so as well. A bike not named Enduro to go with my enduro fork, enduro wheels, enduro tires, enduro cranks, enduro seatpost, enduro saddle, enduro handlebars, enduro helmet, enduro hydration pack, enduro shoes, enduro gloves, and enduro gogles…I can finally Enduro! Carbon wheels makes all the difference! Test the lower end model of this bike where most racer’s budget and reality. I rode the cheapest version of the 5010 in Fruita and smoked the time I set a week earlier on a $10,000 dollar Ibis Mojo HDR with Enve Wheels and XX1 by over 3 minutes on my 22 mile test loop. This bike Rips regardless of the parts. The suspension isn’t perfect, but No suspension is. I also wish the top tube on the LG was 24.5 inches. But aside from that it’s the best Trail bike I’ve ever ridden. Three minutes faster on a 22 mile loop? Big deal. That’s like one less pee break. I didn’t take any breaks. I do the same loop and go flat out. 3 minutes is a Huge difference. I posted 2 Top 10s and 12 PRs on the 5010. I’ve ridden over 25 demo bikes on this loop and I’m faster on the 5010 than any other. The Ibis SLR can’t compete with this bike. The 5.7 even with more travel isn’t as plush. Both are really good bikes but they are lacking. I can see beating your HDR time. I had an HD 160 with 26″ wheels. Incredilbe bike but not for 22 mile xc rips. I built a Ripley with everything on it (enve, xx1, etc) and it is so fast it’s crazy. I’d like to hear if you road a Ripley on your loop. At 6’3″ tall, I don’t notice any gyroscopic issues wit the wagon wheels, especially enve’s so I am sold on the 29er wheels in this travel range. The biggest challenge with bikes these days is that for the most part they are all Really damned good. The hard part is finding the one that works best for you and the terrain you ride. I expected the HDR with its 130mm of travel. To have the snap and climbing Prowes of the SLR. I also expected, with it’s extremely stiff frame and 66.5 degree head angle with a Pike on the front to just Destroy the descents. Unfortunately the other three bikes I was riding at the time. My Trusty TRc an Ibis SLR and an Enduro 9. Left me under underwhelmed with the HDR. The Ripley looks really good it’s been getting great reviews. So I defiantly want to ride it. Who knows maybe it could be the bike that changes my view of 9ers. Not that I don’t love reading about 10k bikes like this one, but I would much rather read about price points around $ 3,500. This is a better price point for what I think wold be at least a small majority of your readership. Additionally, I would have liked to see a Turner bike included in this shoot out. Not all carbon wheels break the bank. You can get the utmost rad carbon wheels from LB! Test the Ventana Zeus please! One can look at this bike the other way. It tries to be everything but masters little. 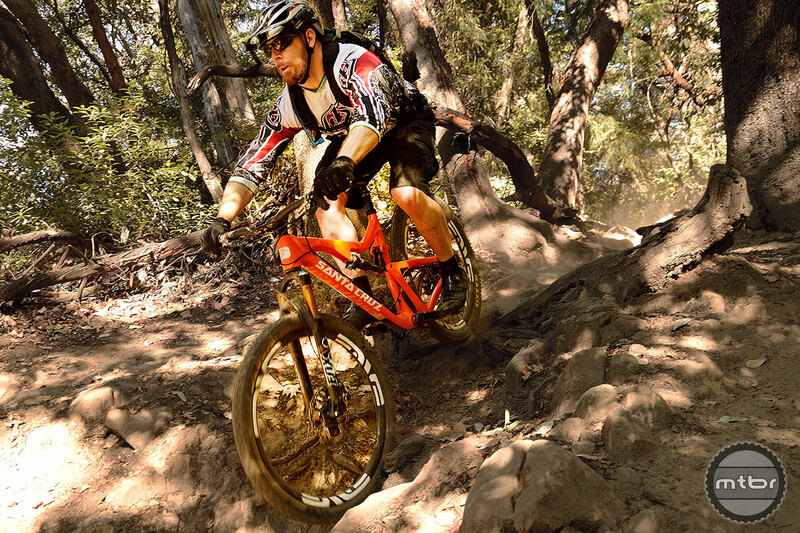 This trail category was well covered by the old time favorites 26″ bikes. I’m not sure if you stack this bike against Pivot 5.7 carbon or ibis slr – that it will win. Racer crowd will want 29s and enduro guys are looking at more stout 27 inches like mach6 or NorCo range.. What’s the market for it? I think the market is people who like nice mountain bikes, which is a lot bigger market than the people who actually race enduros and who actually ride terrain that would justify the Bronson or something like that. 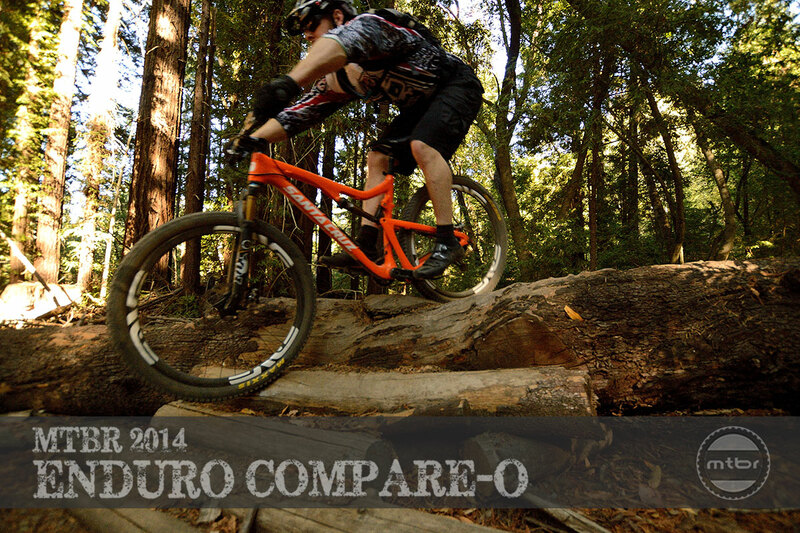 The 5010 with a 140-150 Pike or Fox 34 is probably more than enough for any enduro held in North America. For 10K I’ll buy two bikes and renovate my garage to fit them in. I agree with Tim. There needs to be a Turner Flux, burner, or even a czar. How well is the VPP sorted? Is it a little soft in the mid stroke (that’s what she said). I don’t have much time on VPP, but heard that criticism a lot in the past. 10K Weight weenie trail bike? I guess they know their market. 125mm wouldn’t cut it even on my local trail rides, though. Why not a 150mm talas? The 2014 fox is super plush compared to earlier models, can be lowered to 120mm, and weighs the same. I have a 5010 I built for half that money-xt, mavic crossroc, and x fusion 34 up front. Im coming off a pivot mach 5 and turners before that. This bike kills them all for my type of riding. (xc,trail,all mountain) Faaast, with very light inputs required and a smooth “finger tippy” feel to it. Great technical descender Doesnt have the snap of dw but sits high in its travel on the climbs.Very very good. I love it and would take it anywhere.